Want to attract more customers from China? Want to conduct a survey? Want to gain local support and assistance during your business trip or site seeing? Want to have better PR (PR/campaign/advertising) to Chinese market? Want to enlarge your market? Want to establish partnership with local companies (agent/representative)? Want to make request of interpretation or translation? Want to entrust your local business in China (Shanghai/Beijing)? Want a outlet for your business in China? Need support for your way into the market of China? Need support for your exhibition or local event? Want to conduct a market survey? We function as a trustee outlet for your business in Beijing or Shanghai. You can reach the Chinese market through the internet for PR and advertisement! 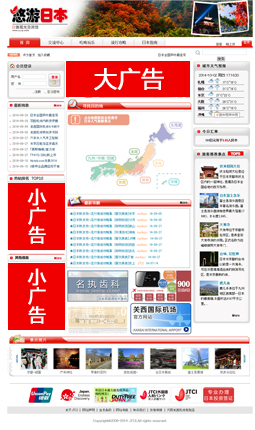 Top page of JTCI managed Chinese language website “uu.jp”. We will contact you through E-mail or TEL. Copyright© 2018 Japan Trade Culture Inc. All Rights Reserved.